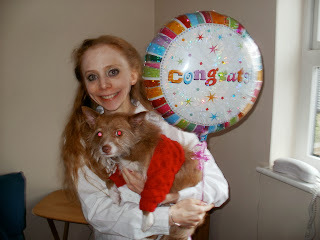 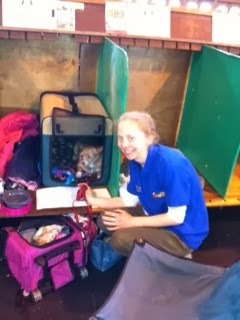 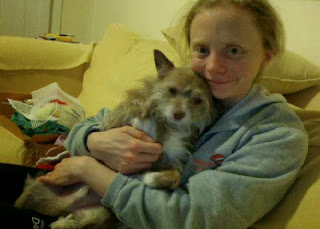 ... because Midge has been all over Twitter and pictured on the Mind blog post the other day. 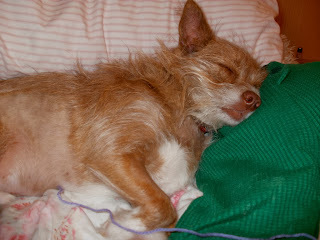 To make him feel better, here he is. 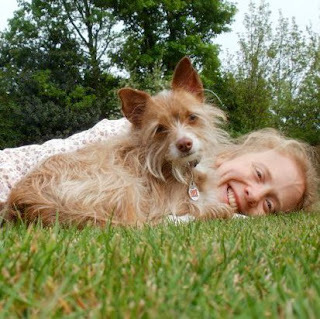 Sometimes with a #mentalpatient (wearing his own doctoral red gown/shrug on the day of PhD graduation, in the garden a couple of years ago, on his trip to Crufts and having a cuddle on an average day). 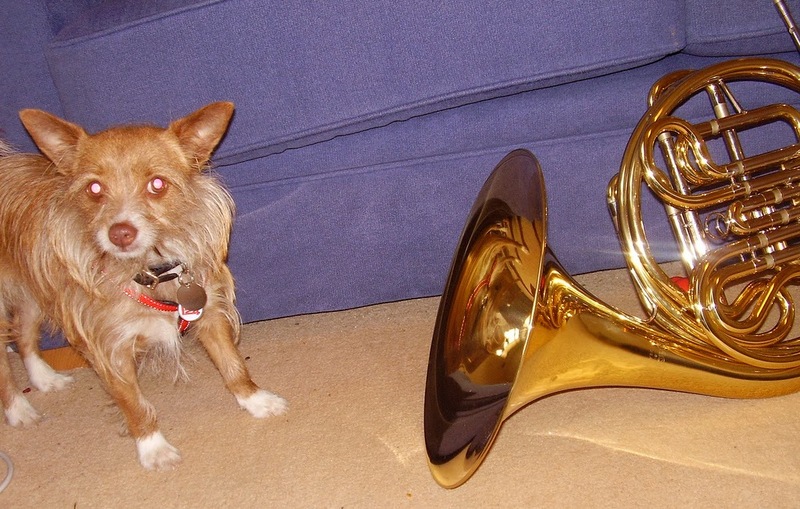 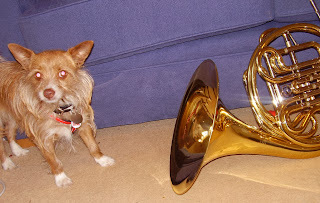 But the first one demonstrates his inherent distrust of French horns ... and the reason why I no longer play: it's hard to practice when a small dog tries to attack the strange metal thing even before it starts making loud noises!